A family of police officers - patriarch, two sons, and a son-in-law - deals with corruption in a precinct in Washington Heights. Four officers die in an ambush at a drug dealer's apartment. It's brother Francis's precinct, so when the investigation led by brother Ray finds hints of police corruption, there's pressure to close ranks and save Frankie's career. 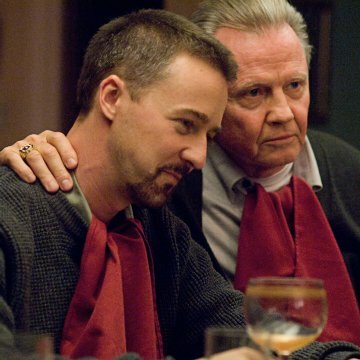 Dad, a police brass, promises Ray that he and Frankie can clean things up, and Ray should focus on catching the drug dealer who killed the cops. Meanwhile, brother-in-law Jimmy, a hothead and an enforcer, is visited at home by a lowlife. Is Jimmy involved in the corruption? Where can this take the family? Jon Voight - Francis Tierney, Sr.
Noah Emmerich - Francis Tierney, Jr.
Taglines: The last thing you want to uncover...is the truth. 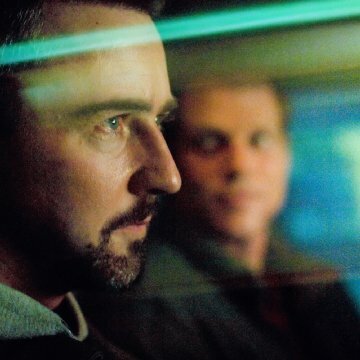 Gavin O'Connor did rewrites on the script throughout the filming process. Continuity: In the scene where Ray is staking out the junkie informant in the Santa hat to find Tezo, when he he jumps out of the car and starts running, he has an empty, unsnapped and flapping holster on his left hip (rear view) but is not carrying a weapon in his hand. When we next see him, he has the holster on his right hip, gun in it and snapped closed. He then un-holsters his weapon from that left hip holster when he readies to enter the building. Jimmy Egan: I will not apologize for doing what I do! I saw a screening of "Pride and Glory" last night. It's the kind of American movie you don't see anymore, a throwback to the big themes and dramatic tone of the 1950s, when Elia Kazan was making movies like "East of Eden" and "On the Waterfront," and Arthur Miller was writing plays like "Death of a Salesman" and "All My Sons." 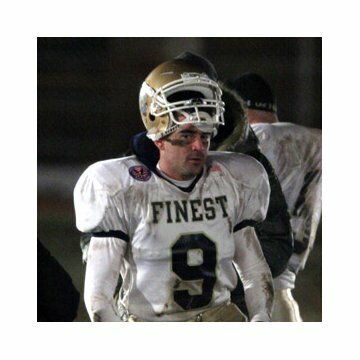 Family, honor, corruption, right and wrong, fathers and sons--these are the kinds of issues that director/co-writer Gavin O'Connor is taking on in "Pride and Glory," and in doing so he's made a timeless film. 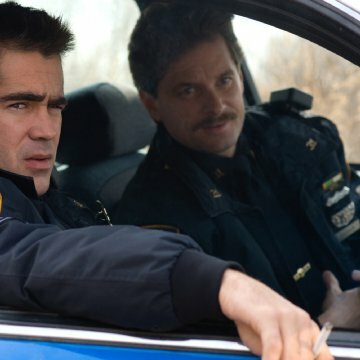 Sincere without being sentimental (much like "Miracle," O'Connor's last effort), "Pride and Glory" gets elbow deep in a corruption scandal that threatens to crack the blue wall of the NYPD and destroy the Tierney family legacy (patriarch Jon Voight, sons Ed Norton and Noah Emmerich, and outlaw brother-in-law Colin Farrell, who has never been better). 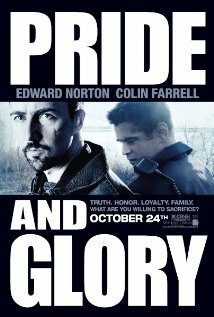 A muscular, old-school American film, with big themes splashed on a big canvas, "Pride and Glory" is familiar and original at the same time. In the Age of Irony, these are the kinds of movies you rarely see anymore. An honest, gripping drama.